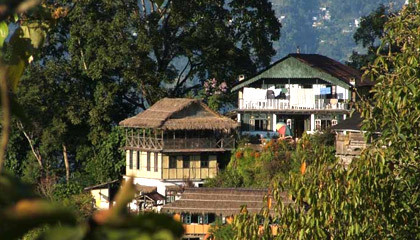 Karmi Farm Holidays is located near Bijanbari just 90 minutes drive from Darjeeling town. Karmi Farm Holidays is an eco-resort situated amidst verdant agricultural area in the outskirts of Darjeeling. The Karmi Farm is located on top of a hill surrounded by lofty heights of the Singalila Ridge. Favored by a number of tourists for its scenic beauty and serene atmosphere it has become a popular tourist lodge in Darajeeling. Karmi Farm offers quality services with warm hospitality and provides amenities at affordable rate. 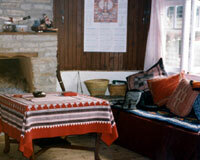 Karmi Farm Holidays offers 5 rooms categorized into 3 Suites and 2 Single Rooms fully furnished with modern facilities. Karmi Farm Holidays has a restaurant, which offers traditional Nepalese, Sikkimese and Indian dishes.